Sport For All Day is tomorrow, Friday June 16th. 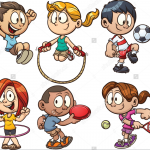 All children should come to school tomorrow dressed for sport and physical activities and perhaps bring some extra drinks with them. We will spend the whole day engaging in sporting activities and the emphasis is on providing children with the opportunity to experience a wide variety of games and sports. Depending on the weather, sun hats and sunscreen may also be a good idea. Thank you to the Parents’ Association and all the parents who supported the running of our Annual Sports Day last Sunday! It was a great success and we even managed to avoid most of the rain! Thank you to Michelle O’ Sullivan (Lina – R5 and Ben’s – R1 mum) who managed to capture some great moments of the day. You can see those pictures by following the link https://goo.gl/photos/HPVwPjVFpLNqjGM19. Thanks from the Board for another busy and active year! This was signed off by the Board and will go up on the website. forward to seeing you all again in September. Goodbye and many, many thanks to Jilly Swain, and also of course to Padraic Mulholland. gone into the planning, design and construction of the Fort. The Play Feature in Linear Park is almost there! We are having a party in the Park to mark the official opening of the Fort and to acknowledge the hard work that has gone into bringing this to fruition - both parents and school children alike. The date is set for this Friday 16th June @ 2.10pm. It will be a full school playdate with picnics and home-baking! Looking forward to seeing you all there! One last chance for any of you who missed out! Order online by tomorrow!!! 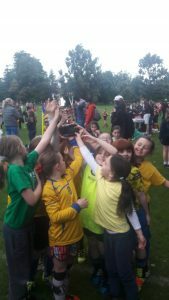 Well done to the three teams from RMDS who represented the school so well on the 1st June this year. Hard luck to the Junior and Senior Teams who made it to their respective finals and congratulations to the RMDS Girls Team who won the Mini Mortons Cup for the first time! Good luck to RMDS in the Mortons Cup tonight! There are only 12 places still available per week and it’s one a first come, first served basis with payment.